Welcome to 8th+Hope, a new luxury apartment rental community located in downtown Los Angeles. Designed to cultivate active and healthy lifestyles, 8th+Hope residents will enjoy a state-of-the-art fitness center with strength and cardio equipment, personal trainers, and a resort-styled outdoor pool with cabanas. Lounge on the roof top terrace or by the poolside sundeck for morning coffee or evening cocktails. Seamlessly accessible and fully wired for our residents, receive Wi-Fi anywhere you are, at any time. In all 8th+Hope residences, relish in floor-to-ceiling windows with breathtaking views of the city. Lavish in-home services combined with top-of-the-line appliances, add appeal to each gracious living area, gourmet kitchen and bathroom amenities. Palazzo East has a number of options available for guests to live the life of luxury. There is the 24-hour fitness center, with state-of-the-art equipment, spin room with instructed classes and full cardio theatre. Enjoy one of two resort-style swimming pools or relax in one of the many poolside cabanas. Step outside and across the street and enjoy a number of shopping and dining options. The Grove shopping center, walking distance from The Palazzo, is the highlight of the neighborhood. The Grove has a shopping mall, restaurants and movie theater. There is also a Whole Foods, Starbucks and CVS within a mile of The Palazzo. WaterMarke Tower is a 35 story luxury high-rise located in the heart of downtown Los Angeles. Just a short walk away from the exciting L.A. LIVE Staples Center, WaterMarke Tower is located in downtown's premier location, South Park. Across the street from downtown's only super market, Ralphs, WaterMarke lives in the most convenient location. 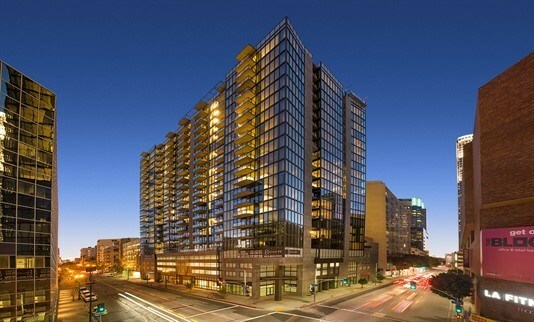 Living at WaterMarke Tower means both entertainment and luxury. 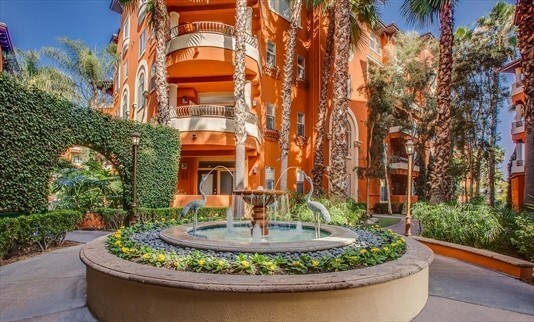 Palazzo West has a number of options available for guests to live the life of luxury. There is the 24-hour fitness center, with state-of-the-art equipment, spin room with instructed classes and full cardio theatre. Enjoy one of two resort-style swimming pools or relax in one of the many poolside cabanas. Step outside and across the street and enjoy a number of shopping and dining options. The Grove shopping center, across the street from The Palazzo, is the highlight of the neighborhood The Grove has a shopping mall, restaurants and movie theater. There is also a Whole Foods, Starbucks and CVS within a mile of The Palazzo.